It can be so much fun creating new activities for toddlers. Being a stay at home mom, you can really get creative. We as parents, don't want our children to sit in front of the television all day. My son always wanted to keep very busy. Most toddlers get bored easily, and quickly. So what kind of activities can you do? There are so many different activities for toddlers that can be done. Here at Toddlers Are Fun we've got tons of great ideas. 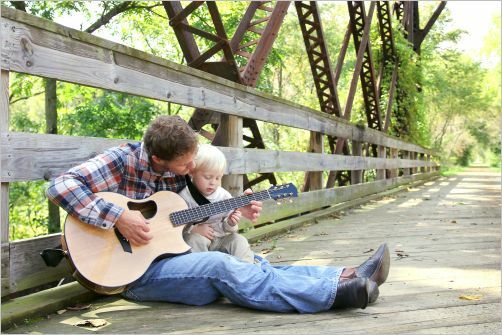 Some of these activities are so much fun to do with your toddler. You will be so surprised to see how far the imagination can go. Yours and your toddler's, So Have lots of Fun, and remember to enjoy your children. They do not stay little for long. My son is a dance-a-holic. (If there is such a word.) He will dance to commercials, or even television shows. Toddlers love music. You name it he will dance to it. I suggest to purchase some interactive DVD's. Such as Laurie Berkner, Wiggles, etc. Put them in the DVD player and let them dance. Moms and Dads join in and dance along with your child and have fun. Your toddler will really enjoy you participating with them. Drape a blanket over a table or chairs. They can pretend they are camping out in the woods. My son loves when we play this. This one can be used in multiple ways. First if you order something in the mail give them the box with the little squiggly filling. My son called it "popcorn". Let them just throw it and play in it. You can sweep it right up after they are done. Now if you have larger boxes such as appliances, televisions, etc. Make them a house out of it. Cut a door and let them even decorate it with crayons and stickers. This one uses creativity and imagination. Aren't these activities for toddlers fun? Every child loves Bubbles. Especially toddlers. I let my son play with them in the kitchen. He is amused and intrigued by bubbles. He could play for hours with bubbles. It's great! Daddy is the "BEST" ring around the Rosie player. I let that be the game that he plays with our son. That way, it is an activity that him and daddy share together. Just by themselves without mommy. Roll a ball to each other. Sit on the floor with your toddler and roll the ball back and forth. This helps with their motor development skills, and they get a kick out of it. My son has a little hoop that we have in the living room. If you do not have one than you can make one with a laundry basket. If you do not have a ball then use a rolled up pair of socks. These activities for toddlers are so much fun!! Let your toddler get the mail with you. My son loves getting it out of the mailbox and then I will let him open junk mail. I tell him that he got mail too!! He looks forward to this time everyday. Need I say more? What child doesn't like to play hide and seek. Playing with a toddler is really fun because they get excited when you come and find them. MY son will get to laughing so hard that I even get to laughing from it. Use a pot or pan and a spoon, an empty coffee tin with lid, or two pot tops for cymbals,and form a band. You can be a marching band and march all around the house. This may get a little noisy so judge the time that you play this game wisely. With these activities for toddlers you can have so much fun together as a family. Keep a bag or box full of art supplies. From crayons to construction paper, pipe cleaners, macaroni noodles and just about anything that you can make art with. 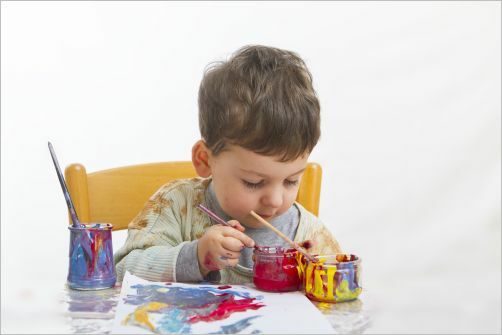 When doing craft activities for toddlers you can just allow them to create and have fun. This is great for those toddlers who like to tear books. Just give them scrap paper and let them tear and have tons of fun while doing it. My son begs to color every single day. This is great for stimulating their minds. I just make sure that I supervise him so he doesn't color the walls instead of the paper. Toddlers are good for coloring on everything, even clothes. Allow your toddler to pick out their own book to read. It can be before bedtime or else throughout the day. Whenever my son asks me to read to him, I will stop whatever I am doing and read to him. I always want to encourage his interest in books. So many activities for toddlers just keep them busy, it's okay to just wind down and read a book together once in a while. Let them get out of the stroller and walk around. Point out trees, grass, bugs, rocks... etc. Pick up leaves and you can do art activities with toddlers and their leaves. Take a little bag so they can put their leaves and rocks in. hint... you can make pet rocks with the rocks you bring home. You can take old bread and let them put it in the back yard to feed the birds. Or you can go to a near by park and feed the ducks the bread. It amuses toddlers to feed the animals. My son takes after me and loves animals so this is great fun. You can go in your own backyard or take it to a park. You can just have fun with it. The kids will enjoy eating on a blanket on the ground. It is exciting and also is a change of scenery. You can also have a great "indoor" picnic. The living room and a blanket make a great place to eat. Chalk Drawings are Great!! Sit down with your toddler and get "chalky" with them. Chalk activities with toddlers are fun. You can make a hopscotch board or draw artwork. You can even leave the art work and let the rain clean it off. So you can draw and have fun and you don't have to clean it up. How great is that!!! Here are just 20 ways to keep your toddler busy. I will be adding more activities as I think of them. There are so many new activities for toddlers we can invent. Therefore the number of ideas we can come up with are endless. For more clever toddler activities take a look at Claire's site. It is amazing! She has tons of great activities that will keep your toddler busy! !